Adzuki bean is the second most popular legume in Japan after the soybean. 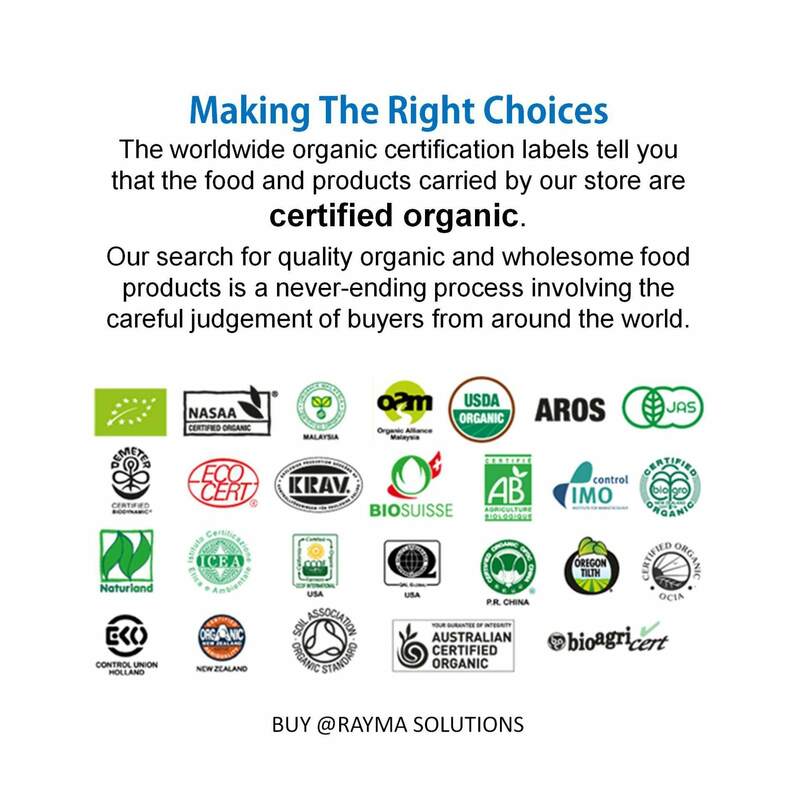 High in carbohydrates and dietary fiber, rich in protein and several vitamins and minerals. These small, red beans are versatile and may be eaten dried or fresh or even ground into flour to make sweet cakes. A great source of magnesium, zinc, iron, copper, potassium, fiber, manganese and B Vitamins, such asniacin, thiamin and riboflavin, adzuki beans contribute to the overallhealth of the body. 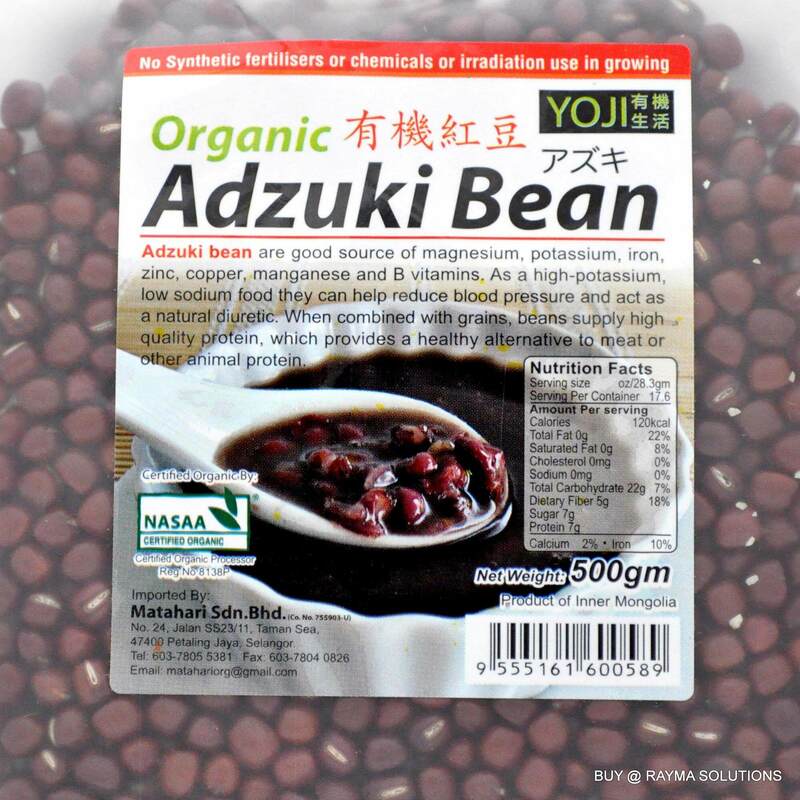 Adzuki beans are a goodsource of energy, promote regular bowel movements and help in loweringcholesterol. 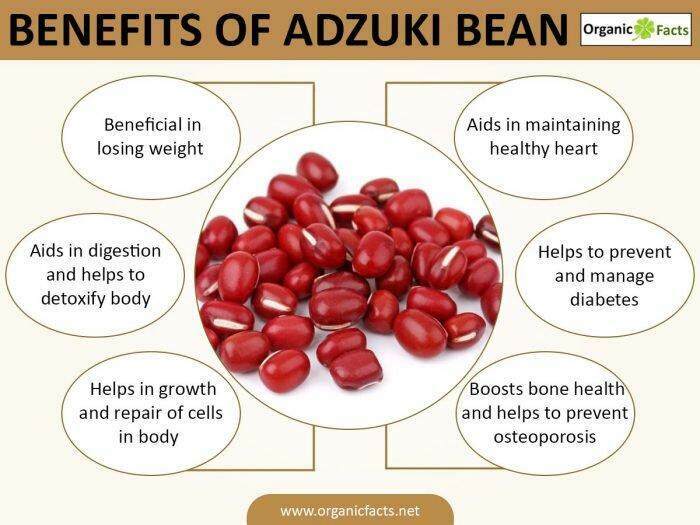 Adzuki beans help inpreventing breast cancer. 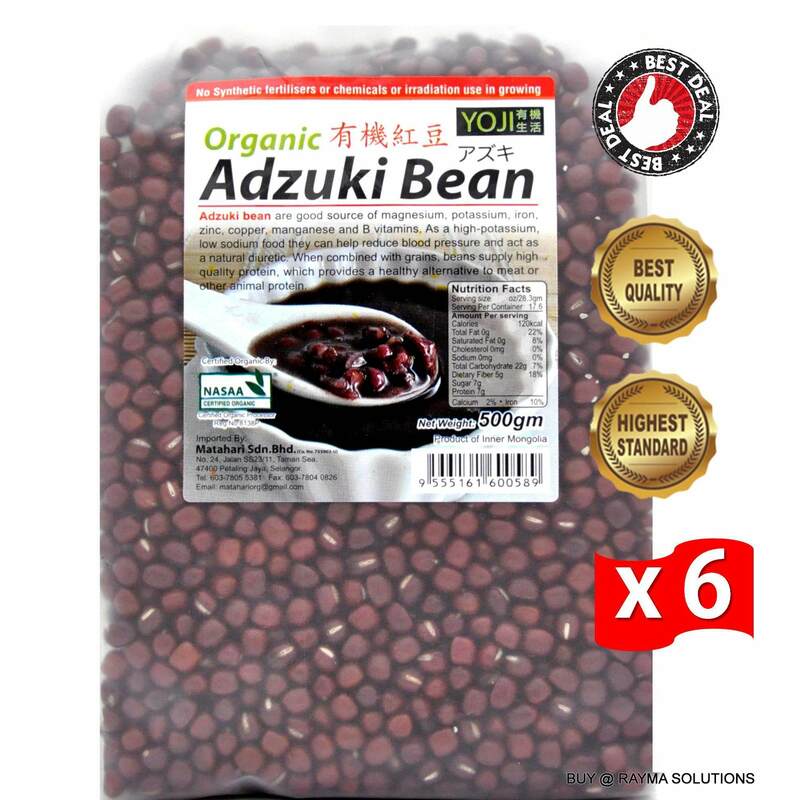 Adzuki beans help the liver to detoxify. Just a quarter cup of adzuki beans contains 100% of the recommended daily intake of molybdenum, a tracemineral that produces the enzyme sulfite oxidase which is crucial forliver detoxification. Rich in soluble fiber, thebeans speed up the elimination of wastes from the body and prevent thebody from absorbing harmful substances. Since adzuki beans are knownto benefit bladder, reproductive functions and kidneys, they are used toreat problems such as urinary dysfunction and bladder infections. 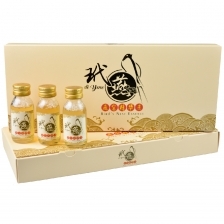 The beans tone up the heartand spleen, heal swelling in edema, stop vomiting and diarrhea. The presence of solublefiber in the beans also reduces the level of LDL cholesterol in the blood. These beans are ideal forpeople who are on weight-loss diet, since they are low in fat and high in protein. The high-protein content makes you feel full for long and the low-fat content helps in limiting calorie intake. They aide in diabetesprevention as they maintain healthy blood sugar levels. They build up a strongmetabolism that enables the body to quickly and efficiently metabolize thefood eaten. They contain proteaseinhibitors that are known to disrupt the development of cancerous cells. Soak the adzuki beans in cold water for about two to three hours. Simmer them on the stove for around an hour and a half. Use three cups of water for a cup of adzuki beans. The beans can also be prepared in a crockpot, though it takes a bit longer. For an herbal touch, add coriander, cumin and ginger while preparing the beans. Once cooked, you can keep the adzuki beans for up to five days in the refrigerator. Or you can keep them up to six months in the freezer. Add to any favorite stew. Heat them up and spoon over hot cornbread. Make a bean salad with diced veggies andyour favorite salad dressing. Make bean tacos with corn tortillas,mashed or whole adzuki beans, shredded lettuce, tomatoes, salsa andcheese. Mash them up and make bean dip. Serve them hot with steamed brown rice,tamari, ginger, garlic and a drop or two of toasted sesame oil. Stir them up with chopped, cooked wintersquash such as butternut. Substitute adzuki beans for other beans inyour favorite recipes. Throw a handful cooked beans into prepared vegetable soup before you heat it up. Try them hot with quinoa, millet or anywhole grain pasta. Yes, they are even greatin chili! While introducing adzuki beans in your diet, add them gradually, as eating too many at a time can cause gas problems in some people.